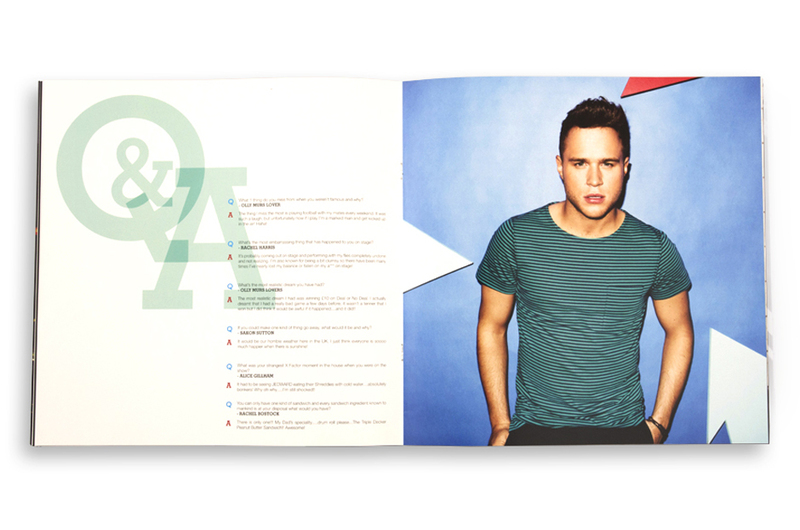 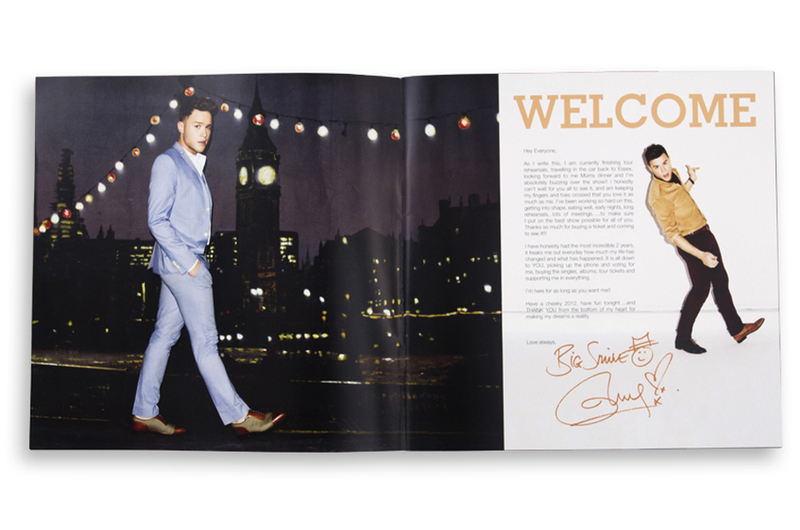 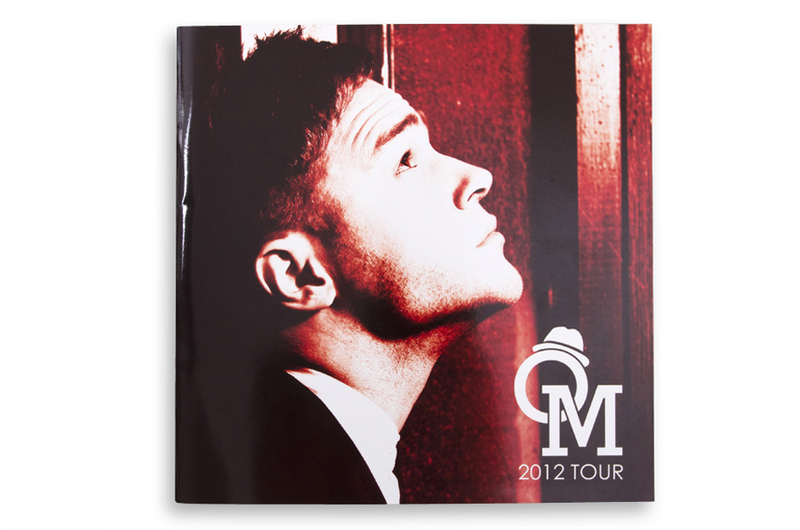 Following on from the success of our design work from the 2011 tour we were again commissioned by Global Merchandising Services to work on the design for Olly Murs 2012 tour. 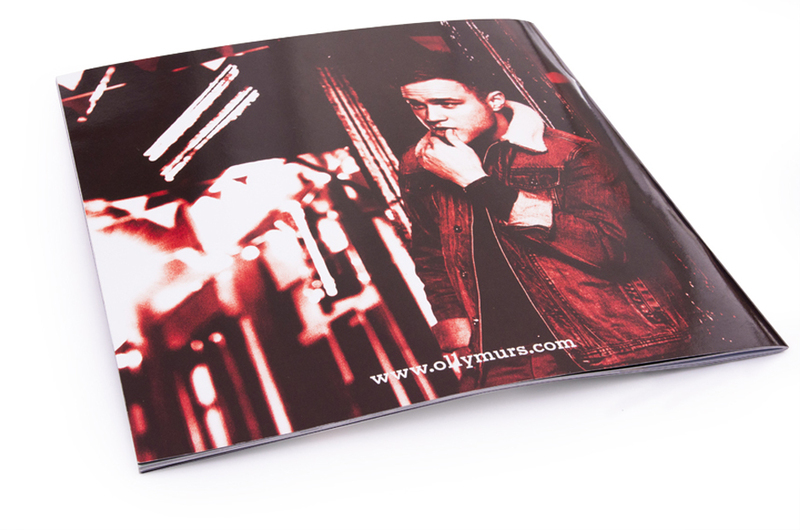 We designed the now trademarked OM hat logo which Olly Murs fans will have seen on all official merchandise as well as on Olly’s stage sets and drum skins. 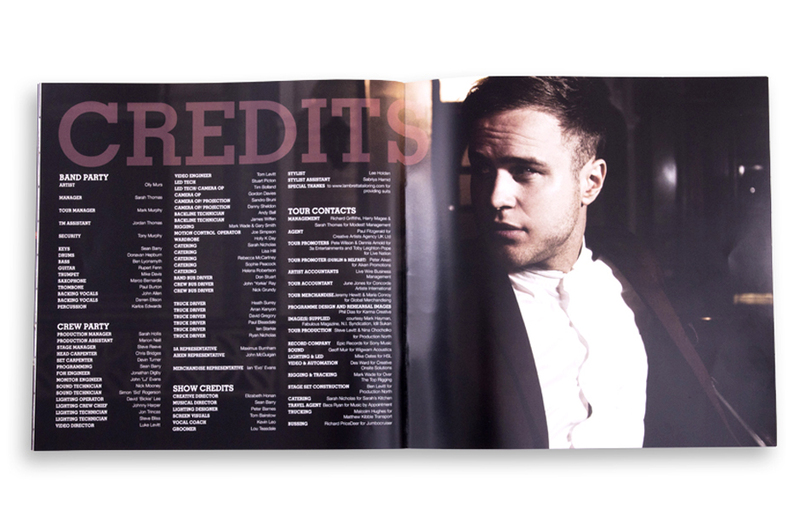 We had the pleasure of being invited down to the rehearsal studios to see Olly and his band. 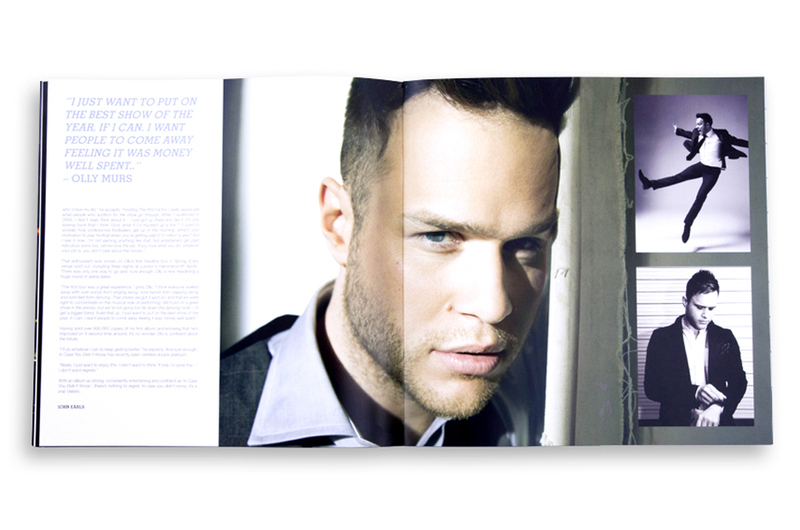 We took a camera along and photographed the session. 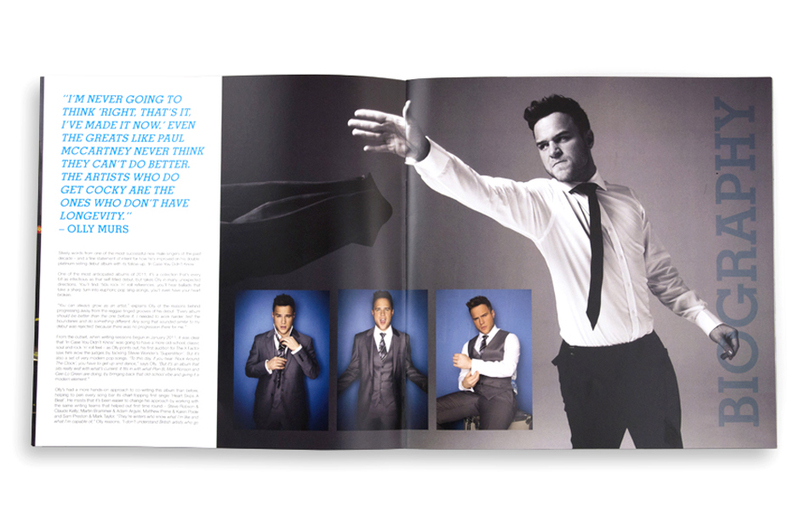 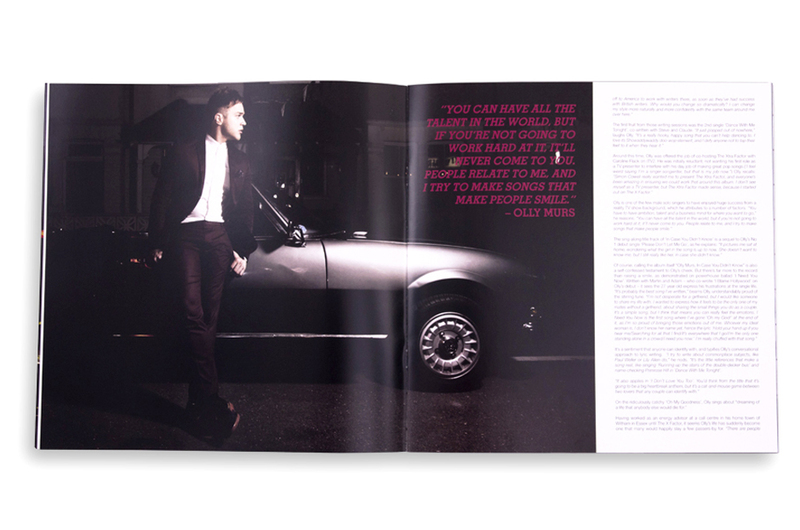 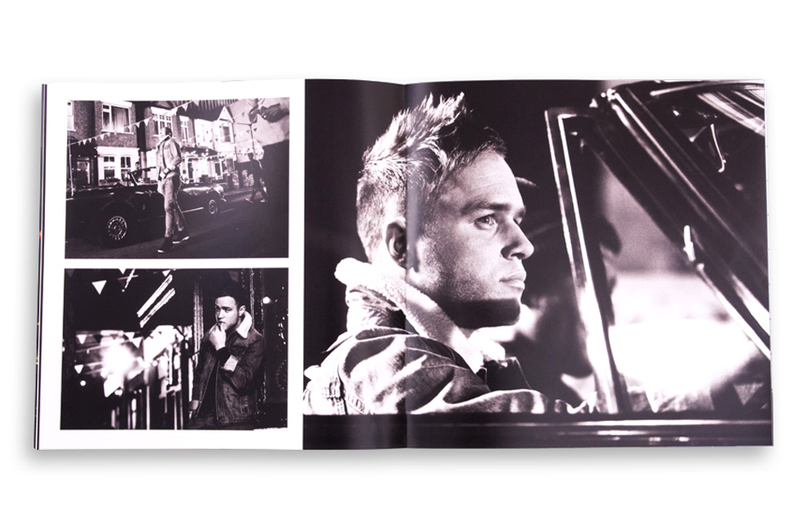 The photos were great and were used as a double page spread in the tour programme.